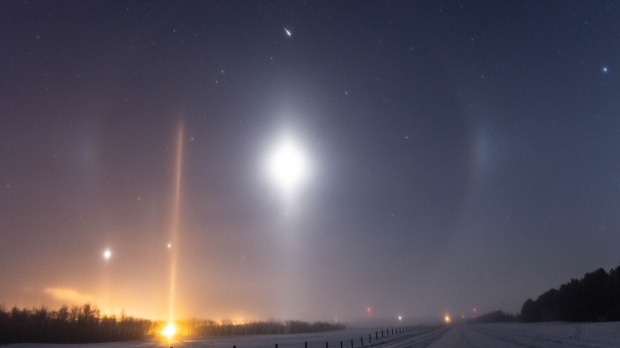 An Alberta woman captured images of a spectacular and rarely seen natural phenomenon in which ice particles reflect lights on the ground far up into the dark sky. Known as light pillars, the optical illusion makes it appear as if pink, purple, orange and white spotlights are shining up into the night. 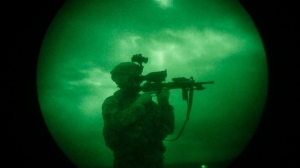 It’s not unusual for Darlene Tanner to be slugging her gear across frozen tundra in the middle of the night. She and her partner Tree Tanner have made a habit of capturing summer storms, along with the auroras and other celestial wonders for more than a decade. “We love it. It’s really rewarding to get these photos and see them forever,” she told CTVNews.ca in a phone interview. On Feb. 10 at 4 a.m., Tanner was out on her own on her day off, trying to capture the light pillars in temperatures reaching -30 C without factoring in the wind chill. She could only stand being outside for a couple of minutes at a time, plunging back into her nearby car to warm up. But the images she took of the light displays in Lacombe and Blackfalds, Alta. were worth it, she says. And they’ve got plenty of attention from around the world since Tanner posted them on her Facebook page, Photography by #teamtanner. Tanner frequently pulls over her car to take pictures during her 40-kilometre commute to her job as a meat cutter in Lacombe, about 125 kilometres south of Edmonton. She often leaves 90 minutes early and always has her gear with her because you never know when nature is going to put on a show. On Jan. 29, she captured what she calls a “bucket-list shot.” She was on her way to work at 7 a.m. and saw a conjunction of the moon with Venus and Jupiter. Then she noticed ice crystals in the air that were creating light pillars from the horizon and a halo around the moon. She parked, pulled out her camera and tripod and began to shoot. When she looked at her images, she realized she had also caught a meteor streaking above the moon. The Tanners began capturing nature with their phones about a decade ago but after a few years decided to invest in better cameras that could capture long exposures. They experimented endlessly and researched techniques online. “We mess up thousands of photos until we get it right,” Tanner said. She does some light adjustments for contrast and exposure but never modifies colours. Tanner acknowledges it’s an unusual hobby. “Sometimes I think maybe it’s not the best idea to go out alone at 3 a.m. in frigid temperatures,” she conceded. But she always has an emergency kit on hand and Tree knows where she’s going and can track her cell phone. The couple will soon be travelling to Iceland and Yellowknife to shoot the Northern Lights and they produce calendars and prints of their work. It helps with fuel and some gear here and there, says Tanner. 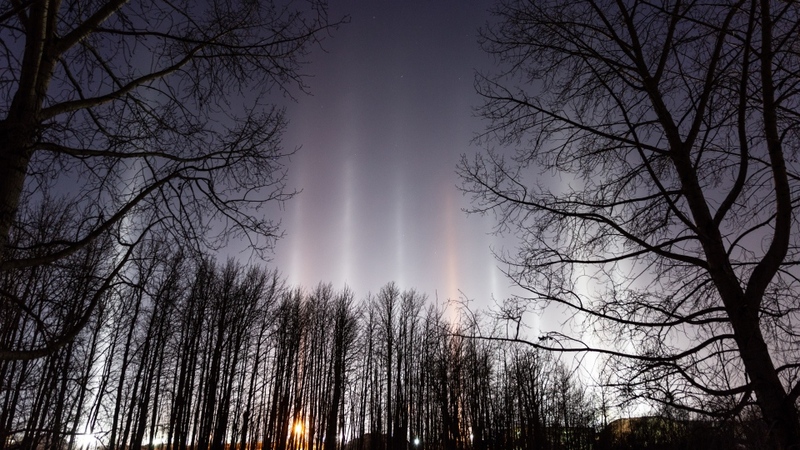 Light pillars can be seen in Alberta in this photo taken by Darlene Tanner.